Today on Twitter, The 100 writers revealed the brand new poster for The 100 season four! It is quite the piece and due to the very blunt nature of it, it can open up our minds to what can really happen on earth if we choose to be careless. From the ashes we will RISE. In the season three finale, Clarke Griffin successfully pulled the lever to deactivate ALIE. Unfortunately, she left Clarke with some dier news. The earth will be only 4% inhabitable due to nuclear meltdowns. Now, with only six months to go, everyone must find a solution if they want to live, or die. 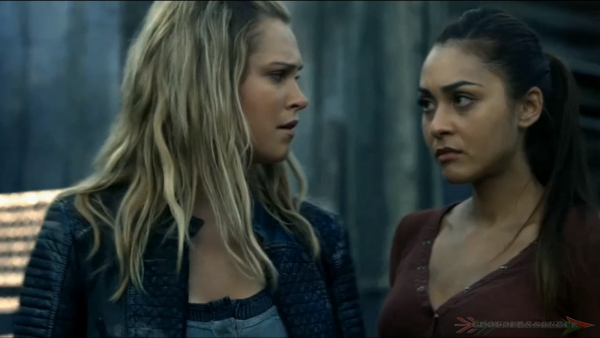 The 100 will return with its fourth season February 1st on the CW. Follow Grounders Source on Twitter @GroundersSource and Facebook @GoundersSource. You may also leave a comment below.